Active ownership is one of the fastest-growing responsible investment strategies in listed equity globally. As part of their commitment to implement the Principles for Responsible Investment, signatories have been asked to consider ESG issues in their active ownership policies and practices (Principle 2) and collaborate in their efforts to build a dialogue with investee companies (Principle 5) for more than a decade. Active ownership is one of the fastest-growing responsible investment strategies in listed equity globally. According to recent PRI data, engagement practices are becoming increasingly common among investors, with only 11% of signatories reporting not having any dialogue on ESG issues with listed equity companies in their portfolios. Collaborative engagement is also becoming common practice as shown by data from the PRI Collaboration Platform (a PRI private forum where investors can share information and pool resources to engage with companies): over 600 PRI signatories have been involved in at least one collaborative initiative since the platform was launched at the end of 2006, and over 1,100 collaborative proposals have been posted. Equally, approximately 73% of PRI signatories with internally-managed assets and 75% of signatories with externally-managed assets voted the majority of their shares in 2017. Active ownership is generally regarded as one of the most effective mechanisms to reduce risks, maximise returns and have a positive impact on society and the environment – for passive and active investors. Divestment alone, alternatively, leaves investors with no voice and no potential to help drive responsible corporate practices. Yet, while investors have been active owners for many years, little is known about current leading practices, processes and success across markets. Poor quality engagement and poorly informed proxy voting practices can be highly counterproductive and cause frustration among target companies. More guidance on how to make active ownership an effective tool to support long-term value creation is needed. This guide intends to fill this gap and provide practical suggestions to those investors interested in building a fruitful dialogue with investee companies. Active ownership is the use of the rights and position of ownership to influence the activities or behaviour of investee companies. Active ownership can be applied differently in each asset class. For listed equities, it includes engagement and voting activities. Shareholder engagement captures any interactions between the investor and current or potential investee companies on ESG issues and relevant strategies, with the goal of improving (or identifying the need to influence) ESG practices and/or improving ESG disclosure. It involves a structured process that includes dialogue and continuously monitoring companies. These interactions might be conducted individually or jointly with other investors. Collaborative engagements include groups of investors working together, with or without the involvement of a formal investor network or other membership organisation. Voting refers to the exercise of voting rights on management and/or shareholder resolutions to formally express approval (or disapproval) on relevant matters. In practice, this includes taking responsibility for the way votes are cast on topics raised by management, as well as submitting resolutions as a shareholder for other shareholders to vote on (in jurisdictions where this is possible). Voting can be done in person, during an Assembly General Meeting (AGM), or by proxy. Ballot items are not always closely related to environmental and social issues and cover financial performance, risk management, strategy and corporate governance matters. Voting and engagement practices are interrelated and feed into each other; one can be the initiator or the complementary tool of the other. Active ownership implies a two-way dialogue with companies; it is not about investors micro-managing companies, nor is it about voting on company resolutions once a year and in favour of management’s recommendations. This practice is primarily about communication and influence. On the one hand, investors have an opportunity to explain their expectations of corporate management in general and in relation to managing ESG risks and opportunities in particular, as well as encourage actions to preserve long-term value and be better informed to make investment decisions. On the other hand, companies can provide clarifications on their strategy and the relationship between ESG factors, their business model and financial performance as well as receive early warnings on emerging risks and best practices. Active ownership is a responsible investment strategy with a strong sustainability focus, but it does not have to be limited to dialogue on ESG issues. In fact, it is part of the relationship between the company and its (potential) shareholders and can entail broader conversations on the overall business strategy, capital allocation, future direction of a company and suitability of investor communications. Active ownership can equally be defined as stewardship – “a practice which aims to promote the long-term success of companies in such a way that protects and enhances the value that accrues to the ultimate beneficiary of an investment”. As the UK Kay Review asserts, stewardship across a range of activities and issues is a core function of equity markets that can drive enhanced operational and financial performance, and its benefits accrue over several years. In a broader context, stewardship enhances overall financial market stability and economic growth. There are many ways to practice active ownership, and several PRI signatories have mature practices that offer examples. These include activities carried out in-house, on an outsourced basis through investment managers/ service providers or through a combination of internal and external practices. When carried out in-house, investors are responsible for defining their engagement and voting programmes, setting objectives and conducting dialogue/ voting directly. When these practices are outsourced, investors have to define their expectations on the engagement and voting activities executed on their behalf and consider criteria to assess the capacity and performance of external providers during the selection, appointment and monitoring processes. Levels of outsourcing can also vary significantly from situations when investors are still highly involved in the activities (i.e. signing letters to and joining meetings with companies) to cases when active ownership practices are entirely delegated to investment managers/ service providers. While this guidance focuses on practices related to listed equity holdings, several insights and recommendations on policy development, execution and disclosure can be equally applied to other asset classes such as corporate fixed income and private equity. Further in-depth analysis of the differences and engagement implications in fixed income is included in the forthcoming PRI publication, ESG engagement for fixed income investors: managing risks, enhancing returns. Dialogue with policy makers on current or upcoming legislation on ESG and responsible investment practices is a complementary element of investors’ active ownership activities. Insights collected by investors in their interactions with companies can inform better guidelines and regulation by governments and help shape an enabling environment for sustainable business practices. The PRI has provided detailed guidance on investor advocacy in its publication entitled The case for investor engagement in public policy. 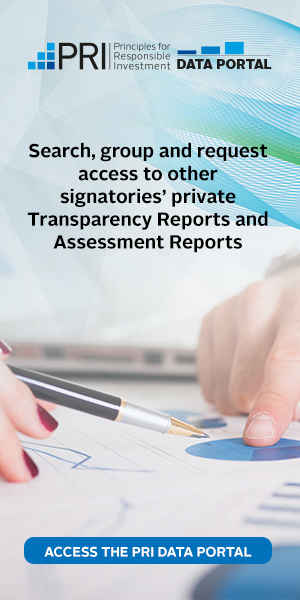 Finally, this report includes references to relevant PRI Reporting Framework indicators to help signatories fulfil reporting requirements. Recent academic research commissioned by the PRI has explored how engagement is bringing knowledge and economic value to both investors and companies. Communicative dynamics: Engagement improves information flow and understanding between corporations and investors. Through engagement, investors can seek more detailed and accurate information about ESG corporate practices and activities. In doing so, they can enhance their own ESG-related communication and accountability to clients, regulatory authorities and/or standard setters. Meanwhile, engagement helps corporations develop a better sense of investors’ expectations in relation to ESG issues, facilitating enhanced corporate accountability in this area. Through dialogue, companies can also improve their image during a controversy or promote aspects of their business model that may not be fully appreciated from the outside. Learning dynamics: Engagement also serves as a way to generate and share knowledge about ESG issues, future trends, and the limitations of current practices and activities. By enhancing their knowledge on specific issues, investors can make more informed investment decisions in relation to a company and/or the relevant industry. Similarly, corporations use engagement to obtain feedback from investors about their ESG performance or benchmark their sustainability position against their industry peers. Political dynamics: Investors and companies can enjoy political benefits by interacting with each other. On the investor side, engagement can enhance ESG integration practices by enabling closer collaborations between ESG and non-ESG analysts, or by assuring clients that they are complying with their fiduciary duties. On the corporate side, ESG-related requests from investors can help them develop internal relationships between operational and functional experts, raising board-level awareness of ESG issues and securing or enhancing resources for such activities. Measuring the ESG impacts and financial benefits of active ownership has always been challenging as the outcomes of engagement generally manifest in the long term and it is difficult to isolate ESG factors from other components that might contribute to a better bottom line. Nevertheless, recent studies have quantified the alpha of active ownership. A quantitative study led by the University of Cambridge and the London School of Economics on more than 30 PRI-coordinated collaborative engagements - involving 225 institutional investors and 964 companies - unveils the financial impact of successful engagement8. The research found that target companies experience improved profitability, as measured by return on assets, and increased ownership by the lead investor who has conducted the dialogue on behalf of the coalition. Unsuccessful engagements see no change in return on assets or in shareholding. HYDRAULIC FRACTURING: The guide provides a business case for engagement on fracking, case studies and results from the collaborative engagement. It also includes questions for investors to engage with companies and recommendations for future engagement. LABOUR PRACTICES IN AGRICULTURAL SUPPLY CHAINS: The report draws together results from the 2013- 2015 PRI-coordinated engagement, and includes investor expectations and useful resources to support engagement with companies. ENGAGING ON ANTI-BRIBERY AND CORRUPTION: The report published with the UN Global Compact draws on the findings from the PRI-coordinated engagements on the topic over 2013-15, investor comments and company feedback. Loyalty. Fiduciaries should not act for the benefit of themselves or a third party and should: act in good faith in the interests of their beneficiaries; impartially balance the conflicting interests of different beneficiaries; and avoid conflicts of interest. Prudence. Fiduciaries should act with due care, skill and diligence, investing as a prudent person would. When evaluating whether an institutional investor has delivered on its fiduciary duties, both the outcomes achieved and the process followed are of critical importance. Failing to consider long-term investment value drivers, which may include ESG issues, in investment practice is a failure of fiduciary duty. The exercise of active ownership as part of the investment decision-making process and the consideration of ESG issues in engagement and voting practices can therefore be considered an investor’s fiduciary duty. In the US and Canada, for example, securities and pensions regulators have asserted that shareholder rights are assets of the pension scheme to be used and monitored by fiduciaries in the best interests of beneficiaries. Similar clarifications by policy makers and regulators in other countries have been encouraged by the PRI within its fiduciary duty work programme. company directors to establish a clear remuneration policy in line with the long-term interests and sustainability of the company, and submit the policy to vote at least every four years. Member states may make this vote binding or advisory (on a mandatory basis). Other regulatory and standard developments have requested investors to take an active role in monitoring and influencing investee companies. For example, finance sector regulators and investment associations in 18 countries have introduced national stewardship codes with an increasing reference to ESG issues. In 2016, the International Corporate Governance Network also launched its Stewardship Principles, which outline a framework of reference for future national stewardship codes. Nearly all these codes encourage disclosure of active ownership policies, management of conflicts of interest and reporting to clients and beneficiaries. In many of these codes, ESG factors are explicitly included, while in other countries there is a more general reference to long-term sustainable value creation. Finally, building on the G20/OECD Principles of Corporate Governance, which recognise the responsibility of investors to exercise their shareholder rights and ownership functions through engagement with their investee companies, the OECD recently published the Responsible Business Conduct for Institutional Investor. The report includes key considerations for due diligence under the OECD Guidelines for Multinational Enterprises. It states that the relationship between an investor and an investee company is different from the relationship between purchaser and supplier companies, but the investor can seek to influence the responsible business conduct of the investee through active ownership. Even minority shareholders may be directly linked to adverse environmental and social impacts caused or contributed to by investee companies in their portfolios. As a result, investors are expected to undertake ESG riskbased due diligence, consider ESG risks in their investment processes and use their leverage with companies to help them prevent or mitigate adverse impacts. Costs: Building a dialogue with companies and voting shares in an informed way is resource and time-consuming; even if investors have the resources to engage and vote on ESG issues, many believe the costs are likely to outweigh the investment benefits. It is difficult to attribute results on corporate changes and stewardship is often long term, with investment benefits accruing beyond the timeframe of an investment manager fs mandate. Free-riding: Few investors bear the cost of active ownership but many could potentially benefit once companies have improved their practices. Similarly, when investors collaborate, some might be more active than others in engaging with companies but the entire group will benefit from successful dialogue. Portfolio diversification: A high level of portfolio diversification imposed by prudential statutes limits the portion of a company’s capital held, decreases the financial power and leverage of the engagers and makes it impossible to engage with and vote in an informed way on all companies included in portfolios. Passive and indirect investment: The benefits of active ownership on investors tracking an index, adopting rule-based and smart beta strategies without human involvement in the investment decision, or investing in exchange-traded fund (ETF) products, are less evident as the relative weighting of their investments following engagement cannot be easily adjusted. Share ownership chain structure: The length of intermediation (including trustees, consultants, funds-of-funds and investment managers) limits the development of strong relationships between the engager and the end recipient of the dialogue (i.e. target company) and could limit the ability to use insights from engagement in investment decision making. Conflicts of interest: Some investors have concerns about conflicts of interest, particularly where the investment manager is engaging on behalf of a diverse group of beneficiaries or is part of an investment organisation which has commercial relationships with companies being engaged. Corporate responsiveness: There remains a lack of consistent, comparable, relevant and timely corporate reporting on ESG issues. This could signal to investors that companies are not interested in ESG issues and therefore unlikely to respond to engagement dialogues and requests. Investment chain transparency: Active ownership is rarely embedded in mandates and investment beliefs by asset owners and it is not a driver of investment consultant recommendations; there is scarce information on active ownership activities by investment managers; and there is limited monitoring by asset owners on investment managers and service providers responsible for outsourced engagement and voting. Regulatory opacity: There is a lack of clarity on definitions of fiduciary duty in some markets in relation to the inclusion of active ownership on ESG issues; there are also weaknesses in the implementation, oversight and enforcement of legislation and industry codes. Local legislation: Some large investors, particularly US investors, have concerns that shareholder collaboration could breach SEC 13D, or acting in concert, filing requirements. Others argue that engagement could expose investors to insider information which would constitute a breach of market abuse regulation. Voting season: Around the world there are thousands of AGMs taking place in a very short period of time (between March and June). Typically, between 20 and 30 decisions will be voted on at each of these AGMs. This condensed period for voting decision making is challenging for institutional investors with large portfolios. Multi-class stocks: Dual or multi-class stock structures have two or more classes of shares with different voting rights and dividend payments. Founders, their families or other insiders usually hold the superior class of shares and benefit from much higher voting rights (e.g. usually 10 votes per share compared to one per share) than inferior class owners. Some stocks might not have voting rights at all. These types of structures do not follow the corporate governance principle of gone share, one vote h and hamper the power of institutional investors to hold companies accountable. Identification of the ultimate owners: The current opacity of the ownership chain and the use of omnibus accounts by custodians does not allow companies to know who their investors are or who has voted on their behalf. Similarly, investors are not able to identify one another in the company and cannot identify potential partners for co-filing resolutions. Record dates: Record dates for entitlement to vote are usually no more than 48 hours before the meeting and this causes delays and the bundling of votes in the chain. Investors usually vote on their likely voting rights and the voting agent has to reconcile the proxy votes in the system once the actual number of shares held is defined on the record date. This process is complex when done in a short period of time. Company documentation: Documents might be sent out by companies with very short notice and lack of translation. Questions and items might also change on the day of the AGM once companies have acquired information on the direction of votes by their shareholders before the meeting. Administration: Electronic voting through an online platform is still rare. Meeting agendas and voting forms are often still printed and posted, making the process highly bureaucratic. Vote confirmation: The voting chain usually includes multiple actors, from voting agents to custodians and sub-custodians. The complexity of this structure makes it difficult for institutional investors to receive final confirmation that their votes have reached the companies. Share blocking: In certain jurisdictions, shareholders have to deposit their shares with a designated depositary and they are not able to trade on those shares for a certain number of days before the AGM to be able to vote. This prevents passive investors from voting, since their shares must remain part of an index at all times. Share re-registration: Some markets require that shares are registered in the name of the shareholder in order to vote. As a result, the shareholder can trade in the relevant company fs stock only when the shares have been re-registered in the name of the custodian after voting. Power of attorney: In some countries, the power of attorney or even the presence in person is required to be able to vote. Absence of formal end point: Under common law, the chairman of a company must confirm that votes have been cast but he or she can still do so without formally including all proxy instructions into votes cast. In some circumstances and in some countries, he or she could simply ask for a show of hands in the room. Stock lending: The link between engagement and voting is broken by share lending practices as the vote goes to the borrower, a temporary owner, unless the shares are recalled. Proxy voting advisors: There is a high market concentration among proxy voting advisors, which limits the choices available to institutional investors in proxy voting services. Without denying the presence of these barriers and the need for regulatory changes to solve some of the problems above, there are leading practices in active ownership that investors can apply to overcome these obstacles. Some of these are also a matter of perception rather than real impediments. The following chapters will shed some light on such practices, keeping a focus on listed equity. This report focuses on the current state of ESG integration in the Americas, with reports for EMEA and APAC are scheduled to be released in March 2019. Portfolio managers and analysts are increasingly incorporating ESG factors into their investment analyses and processes. However, ESG integration remains in its relative infancy, with investors and analysts calling for more guidance on exactly “how” they can “do ESG” and integrate ESG data into their analysis. In June 2017, BofA Merrill Lynch Global Research released follow-on research to a December 2016 study that evaluated the reliability of ESG data (based on Thomson Reuters’ scoring system) as a signal of future volatility and directional trends in equity market valuations. Transparency is a key component of active ownership and it forms part of many stewardship codes and principles (i.e. Principle 6, the ICGN Global Stewardship Principles, the OECD Responsible Business Conduct for Institutional Investor and several national stewardship codes).